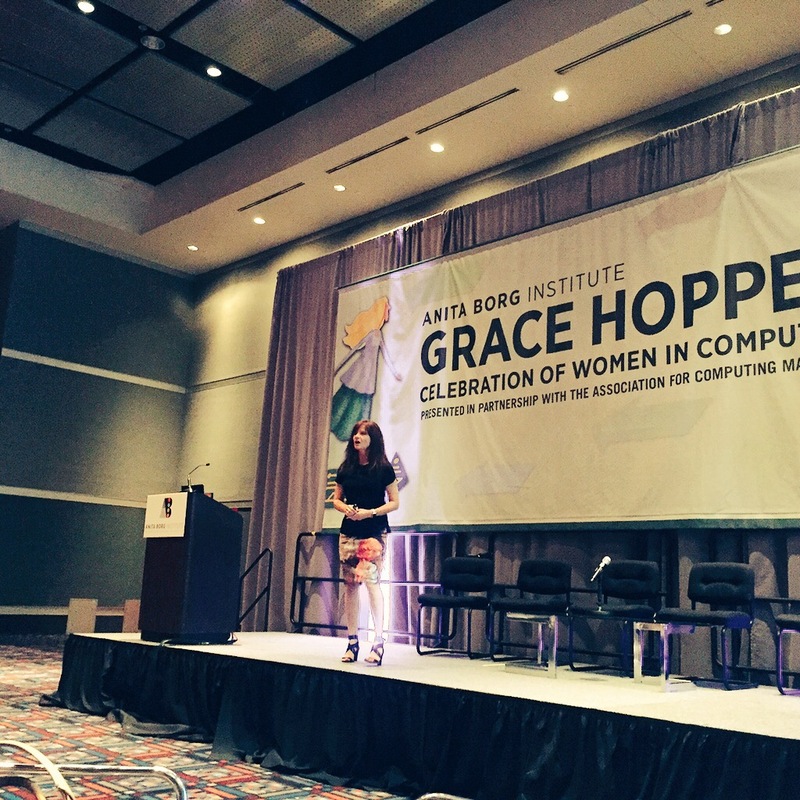 My notes from @Jo_Miller‘s session at GHC. The Emerging Leaders Quandary – can’t get recognised as someone who is ready to lead a larger team. Why we get stuck – you can’t get that higher level job without the leadership experience… but you can’t get the leadership experience without the job. Do not outsource your career development to someone who cares less about it than you. You can’t afford to be the best kept secret in your organisation. How to go out and make a name for yourself in a way that uniquely differentiates you and your values. Think about how you’re currently perceived by others… and is it working for you? Do people perceive you by the full sum of strengths or do they see you as less than, or completely different? Take steps to understand how others see you. Advice: “Be famous for something. Know what is your claim to fame.” Example of someone who narrowed down her focus to her greatest strength – building great customer relationships. Who do you know who has branded themselves well? What catch phrase or brand statement do people use to refer to that individual? Identifying your ideal career niche – what is it that you enjoy doing, that is a great match for your strengths, but also makes you sought after. Your leadership brand. Get people to come to you. What does your company / industry need and value? If you try and build a career around something you’re great at and passionate about but don’t consider 3, you might end up not with an awesome career but an expensive hobby. Think about what this looks like for you at this moment in your career? Don’t be a professional pretzel. Start with your ideal niche and brand that. Brands can have a transformative effect on your career. Start with your ideal career niche, then scale it up have decide what you want to be known for next. Where do you want to be? Work backwards and decide what you need to be known for now in order to make that happen. Build a valuable entry level brand. If still known for that 3-4 years later it will really hold you back. Valuable contributor. Team-player. Specialist. Go-to person. Then build a mid-level brand. Strategist. Innovator. Subject matter expert. Change agent. People motivator. Project leader. Builds things that work. Turnaround architect. Intrapreneur. Visionary. Thought leader. Leader who develops leaders. Charismatic leader. Rainmaker. Quiet Leader. How do you not be the best kept secret in the organization? Work less – don’t spend all your time head down delivering results. Communicate your brand to others. Work hard on the right projects. I am responsible for a, b, c.
Come directly to me when you need x, y, z. Demonstrate your ability to deliver results. Directly support your organisations strategic plan and goals. Expose you to a new department, function or client (management track). Push the cutting edge in your field of expertise. Special projects sponsored by executives. Sharpen business acumen and leadership skills. Participate on special task forces and committees. “It’s not what you know and it’s not who you know. Way chosen is off-brand, seems inauthentic. Doing it in a way that isn’t rewarded or recognised by the team culture they are part of. Present in meetings. Invite leaders. Send out a newsletter or regular status updates. Submit article to your organisation’s newsletter. Write a blog, or paper for publication. Ask to be nominated for an award. Ask a colleague to “toot your horn”, and reciprocate. Speak on panels, and at conferences. Forward kudos emails with “FYI”. Choose a couple you are willing to try. Practise! And put into action. “There is nothing untoward about being honest about what you do well. Your company cannot fully appreciate how to leverage you as a resource if the company does not have visibility into what your unique talents are. So, don’t deny that of your company.